In the unfortunate situation where you have lost all of your upper and or lower dentition, replacement of your teeth can be accomplished by the fabrication of dentures. 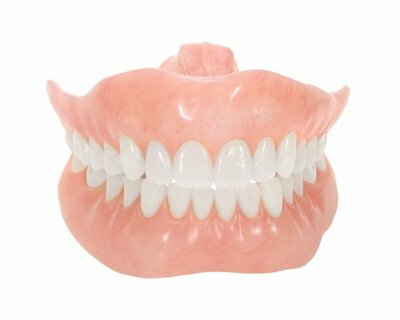 Dentures are made by attaching either plastic or porcelain teeth in a pink plastic base that rests against the gum tissue. It takes time to adjust to wearing dentures and it is normal for sore spots to develop. We would ask that you wear your dentures at least several hours before your adjustment visit so that we can visualize the sore in the mouth.